Deacon Keith Strohm is the former director of the Office for the New Evangelization and a deacon for the Archdiocese of Chicago. A well-known international and conference keynote speaker, he has helped tens of thousands of men and women hear the Gospel message and encounter the mercy, love and power of Jesus Christ. Deacon Keith has extensive experience in creating and sustaining processes and programs of evangelization and formation at the group, parish, and diocesan level that focus on the making, maturation and missioning of disciples of Jesus Christ. He is the Executive Director of M3 Ministries and a long-time teacher and collaborator with the Catherine of Siena Institute. Jesus died to set us free, yet we all experience thoughts from the enemy that lead us away from Christ and his truth. 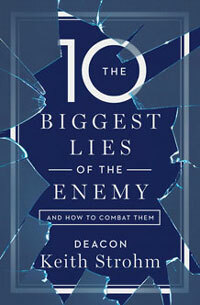 Popular author and speaker Deacon Keith Strohm shines God's light on ten of the most common lies that Satan uses to bind our hearts and prevent us from experiencing the fullness of God's love. For many of us, Lent can be a challenging time. We endure the pain of fasting, the struggle to give up comforts, and the hope to get through without too many slipups. But it doesn’t have to be that way. 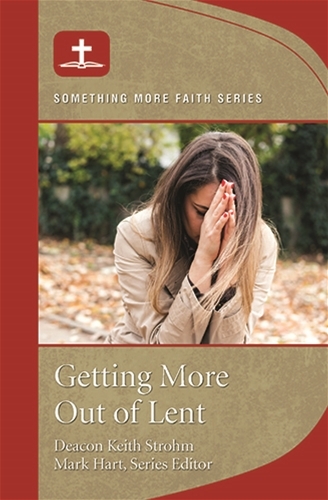 Getting More out of Lent will guide readers to experience the wonderful gifts of the season of Lent.